Nordstrom said in June that the family which runs the famous high-end retailer was considering a sale of the company. But there is chatter the buyout may be falling apart. Shares of Nordstrom (JWN) plunged 7% Monday after The New York Post indicated that the Nordstrom family, which owns more than 30% of the company, is having trouble getting financing for the deal. That may force private equity firm Leonard Green, which had reportedly agreed to back the takeover, to walk away. 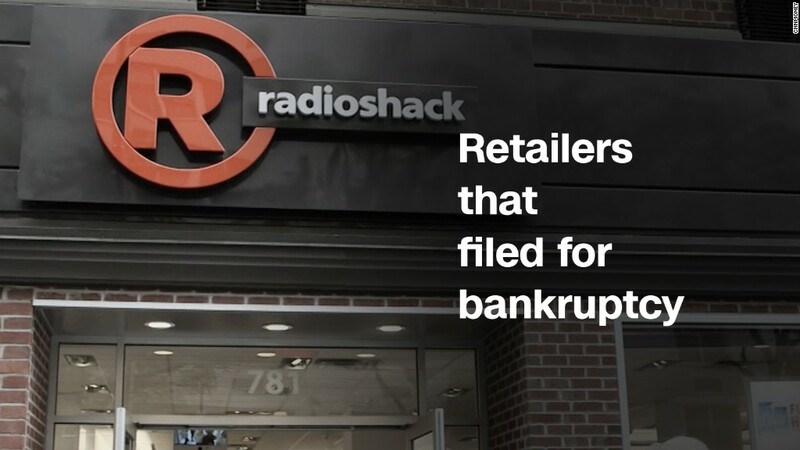 Talks apparently cooled after Toys 'R' Us filed for bankruptcy protection last month, news that further illustrates just how tough it is for old-school retailers to thrive in the age of digital commerce. Amazon (AMZN) is growing bigger by the day. Walmart (WMT) has enjoyed a resurgence lately thanks to a series of online retail acquisitions. Nordstrom was not immediately available for comment about the potential collapse of a buyout. But many recognizable names in the retail industry, particularly traditional mall-based department store chains, have been under siege from a variety of threats. In addition to the growing popularity of online shopping, there is also intense competition from so-called fast fashion chains like Zara and Forever 21. But there are even some cracks starting to show in that business too. The parent company of H&M recently reported a big drop in profits. Shares of several other department stores fell Monday too. Sears (SHLD) was down 3%. Kohl's (KSS)which has recently partnered with Amazon to try and boost store traffic, dropped 4%. Macy's (M) plummeted 5%. JCPenney (JCP) sank more than 8%. All of these stocks are down this year as investors grow increasingly nervous about sluggish sales. Nordstrom is trying to fight back. It recently announced plans for a new store concept called Nordstrom Local that would let people buy clothes selected by personal stylists -- and drink beer and wine while doing so. But the new Local stores will not have any inventory. Customers will make their purchases online. It remains to be seen if this can help Nordstrom get back on track though. Wall Street is very nervous about the retail business and Nordstrom may be better off as a private company that doesn't have to deal with investors' concerns about weak sales.